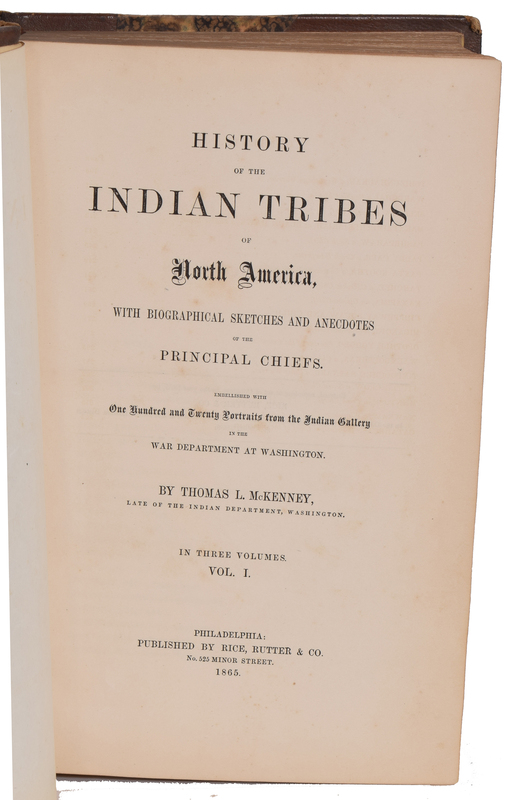 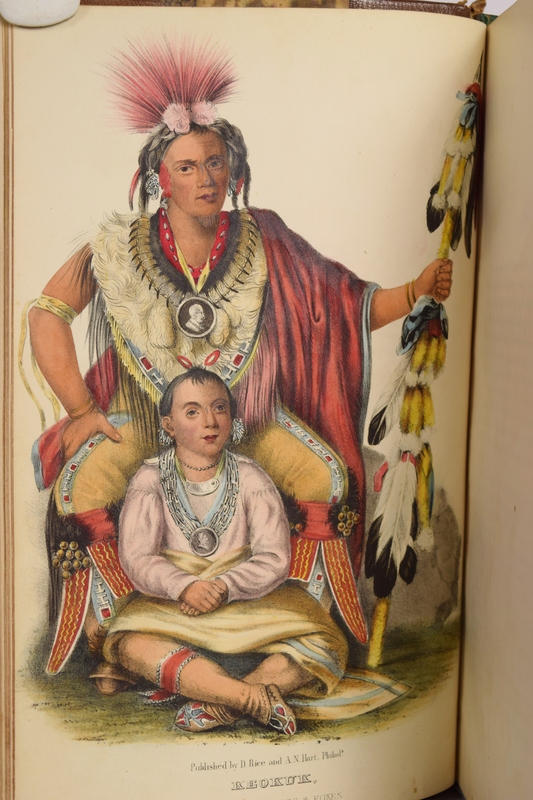 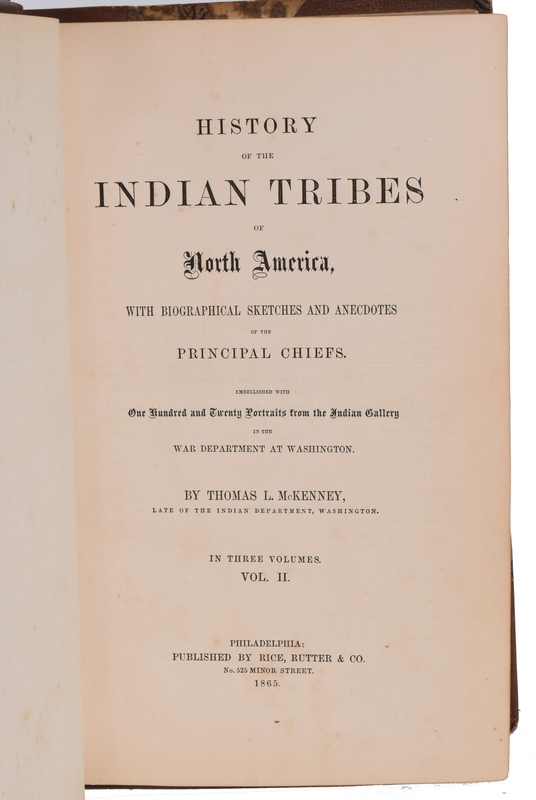 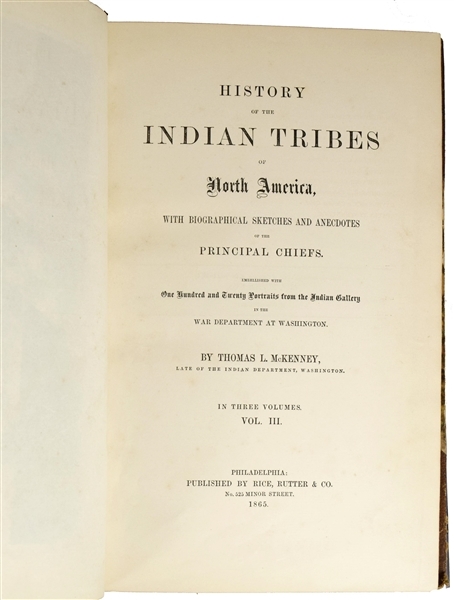 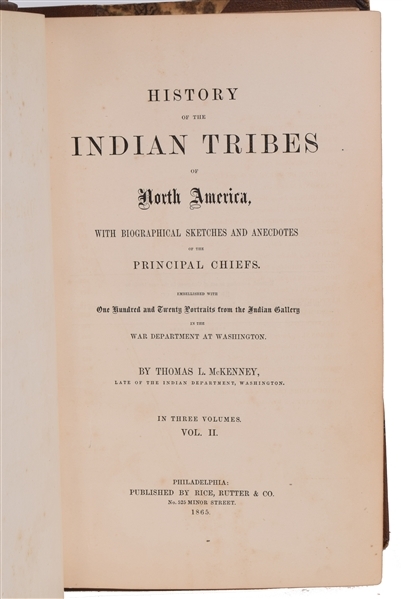 "With Biographical Sketches and Anecdotes of the Principal Chiefs. 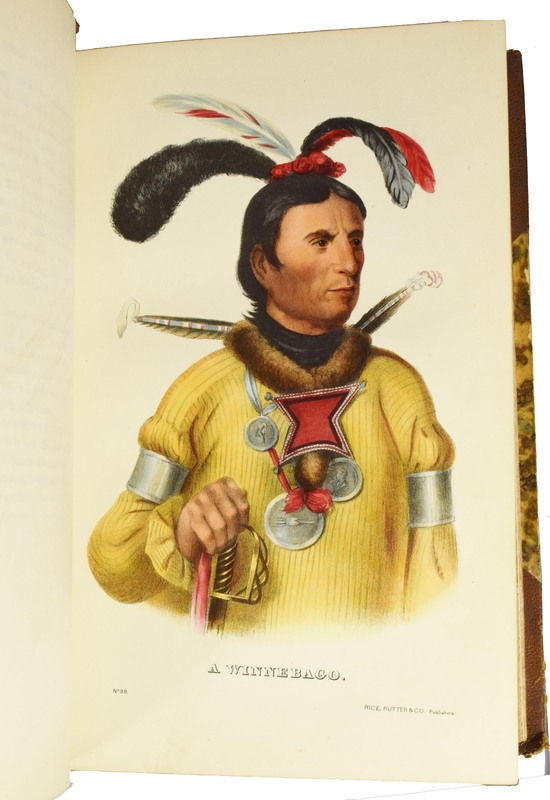 Embellished with One Hundred and Twenty Portraits from the Indian Gallery in the War Department at Washington", three volumes, Rice, Rutter, and Co., Philadelphia, 1865, royal octavo edition, half bound hardcovers with gilt tooling and edges, marbled boards, yellow endpapers. 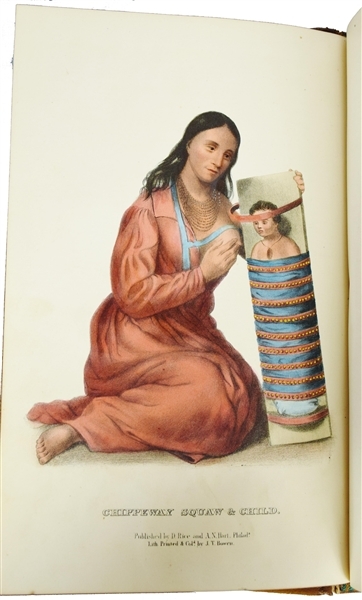 Etchings published by Rice and Hart, printed and colored by J. T. Bowen. Dimensions: Each is 11" x 7 1/4", approximately 1 3/4" thick Condition Report: Good condition. 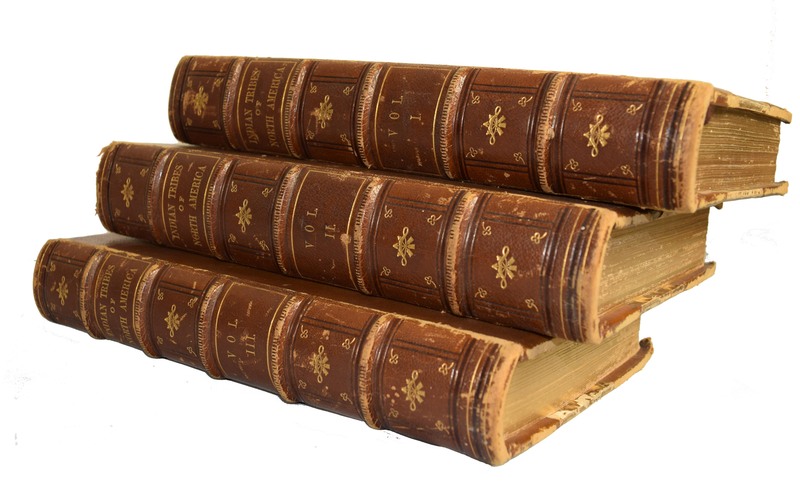 The first octavo edition appeared in 1848-50, following the folio edition of 1836-1844. 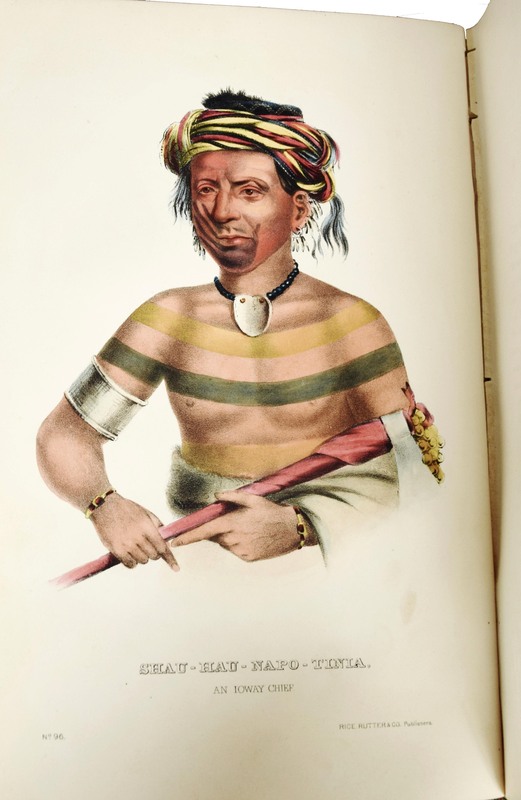 The plates have been called "The most colorful portraits of Indians ever executed" (Howes), and are from King's portraits in the IndianGallery, Department of War, Washington, which were all destroyed in the 1865 Smithsonian fire. 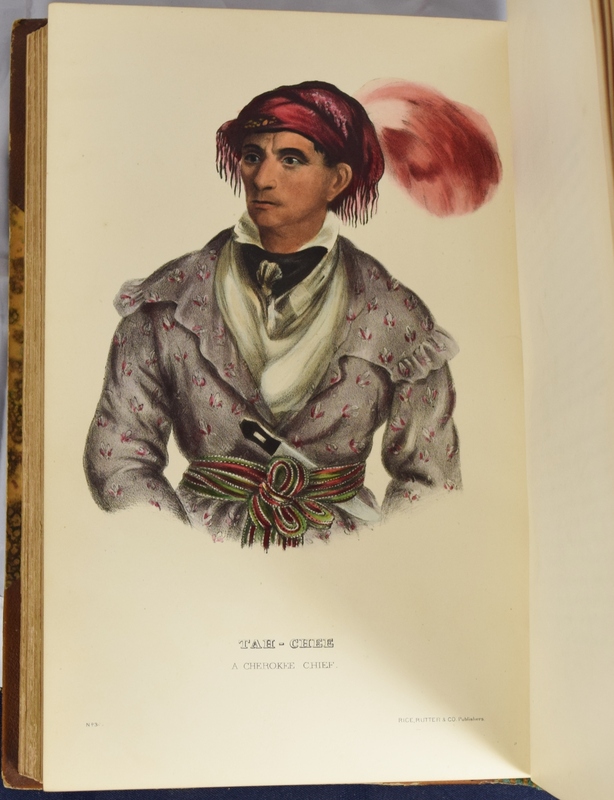 There are seven plates missing: Billy Bowlegs, Neomanni, and Wapella from volume two, and Le-Da-Gie, Nah-Et-Luc-Pole, Itcho-Tustennugge, and Julcee-Mathla from volume three. 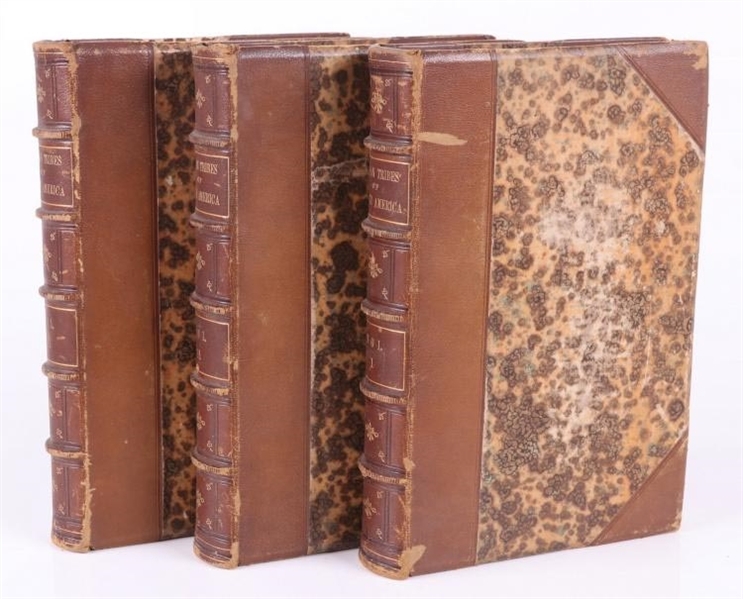 Rubbed, bumbed, dinged, some chips, and some gilt loss; cracked spines, the frontispiece to volume three is loose,; light toning, some occasional light foxing and transference, original owner's name and inscription in pen on the endpapers, subscription tag in volume two.